Students will spend nine weeks in Botswana working with the Wildlife Africa Conservation Team (Wildlife ACT) to conduct research and monitoring for the Botswana Department of Wildlife and National Parks and for the University of Botswana's Okavango Research Institute. This program is coordinated by Wildtrax. ​The overall objectives of the study abroad program and internship are to equip students with adequate knowledge of various wildlife management and conservation issues in Botswana and to attain proficiency in field research. 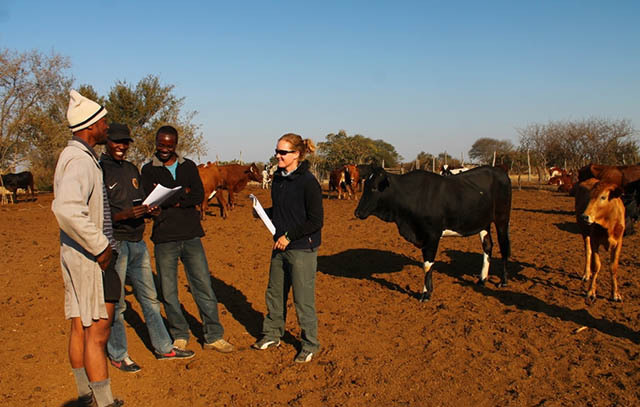 An emphasis will be placed on understanding the patterns and underlying processes of the human-wildlife interface and biodiversity of the Okavango Delta and Chobe River region. The study abroad programs’ objectives will be fulfilled through students’ participation in Wildlife ACT’s two main research focuses as described above and thus provide a constructive feedback system. The course objectives are to equip students with an ability to decipher and adapt applicable research techniques to field studies (LISTED ABOVE). 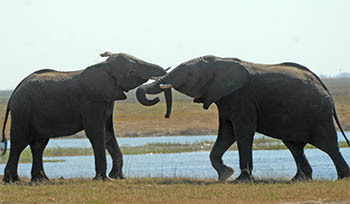 Overviews of conservation strategies, research theory, hypothesis construction, methods, field sampling techniques, data management and analysis techniques are included in a 1-week lecture series presented by Wildtrax Explorations, Wildlife ACT, and Okavango Research Institution (ORI). The course includes both scientific and social aspects to data collection to prepare students for their interactions with communities and different cultures. Students are then placed at different research sites where they apply their new skills, completing mini-research projects on the data they collect. The programs’ objectives will be fulfilled through students’ participation in Wildlife ACT’s two main research focuses and thus provide a constructive feedback system for successful conservation efforts in Africa. Dowload a complete course overview from the WildTrax web site. Course: Six credits. Fulfills WILD398; Wildlife Biology students must have approval of faculty mentor to do this course. Fee: $6,900 includes orientation, lectures, course materials, accomodations and transportation in Botswana, three meals/day while in Wildlife ACT camps. Airfare to Maun or Kasane, Botswana not included. Additional fee of $135 to receive UM credits for course.